When reports of a widespread, deadly “outbreak” begin to surface, these ordinary people face extraordinary circumstances and suddenly their fates are intertwined. Recognizing they can't outrun the danger, Scarlet, Nathan, and Miranda desperately seek shelter at the same secluded ranch, Red Hill. Emotions run high while old and new relationships are tested in the face of a terrifying enemy -- an enemy who no longer remembers what it's like to be human. 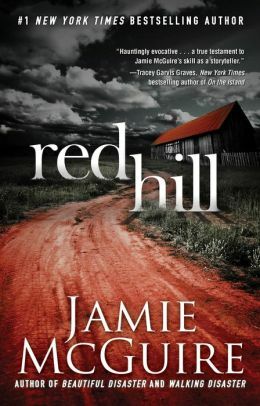 Red Hill grabs you from the first page and doesn't let go until its stunning conclusion. This is #1 New York Times bestselling author Jamie McGuire at her unforgettable best.